Optimice was founded in 2004 with the objective of improving, or optimising, collaboration and networking between professionals. Our mission is to facilitate the development of valuable business relationships. We have deep experience in improving business relationships at both individual, organisational and inter-organisational levels. Cai has deep experience in Business Relationships, Knowledge and Information Management, Collaboration and Organisational and Value Network Analysis. For the past 12 years has worked in both internal and client-facing roles. He has consulted extensively to organisations in both public and private sector, as well as presented conferences in Australia and abroad. 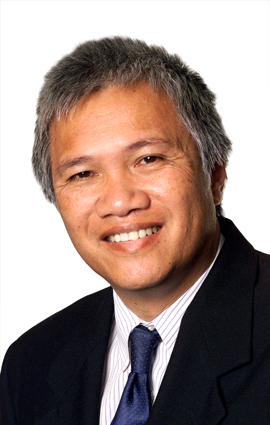 Cai was previously a Principal Consultant with Computer Sciences Corporation (CSC), General Manager (ANZ) for Implementation Management Associates and is a founding partner in Optimice. He has extensive experience in senior consulting, change leadership, and implementation roles successfully delivering large-scale global business transformation projects. Laurie is a well-known Australian expert in Knowledge Management. He is also internationally recognised as a leading practitioner in Social Network Analysis for organisational change, having conducted projects in Australia, USA, Europe, Asia and the UK. With many years of experience in different roles ranging from research to consulting, Laurie completed his PhD research on corporate social capital effects on share market performance. He has published 2 books and over 40 articles and book chapters. He was previously a Principal Consultant with Computer Sciences Corporation (CSC). Marianne is leading all financial and operational activities at Optimice. She has moved from administering large council budgets to operating Optimice. She brings a wealth of experience in delivering our clients a seemless and efficient service. Marianne holds a Master of Political Science from the University of Copenhagen, Denmark. Optimice's tools, products and methodologies are applied globally through a series of leverage partners. We call them 'leverage' partners as they incorporate Optimice's Organisational Network Analysis into their existing services leveraging our intellectual property.